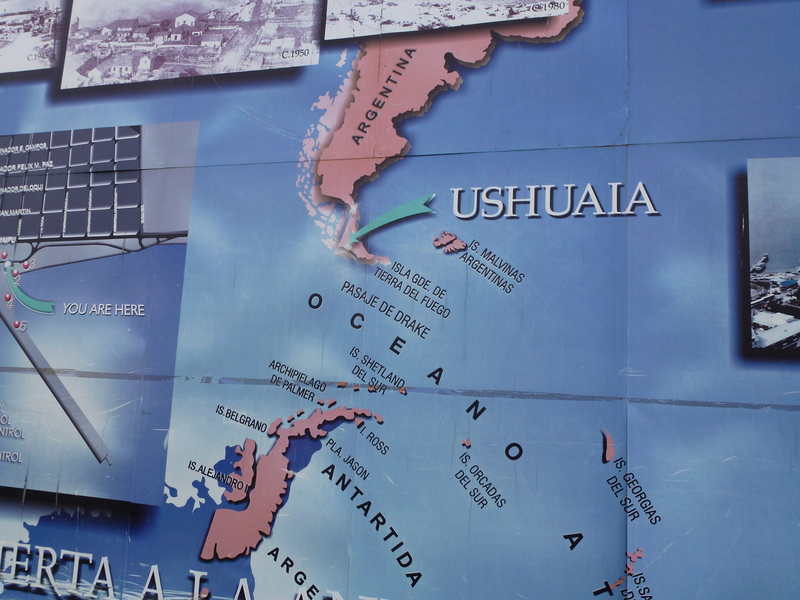 March 26: Punta Arenas is a dismal, desolate port, forgotten by the world. I cannot imagine why anyone would want to live here! But many do. With over 100,000 residents, it is the Magallanes Province’s largest city and lays claim to the title of the world’s southernmost city. 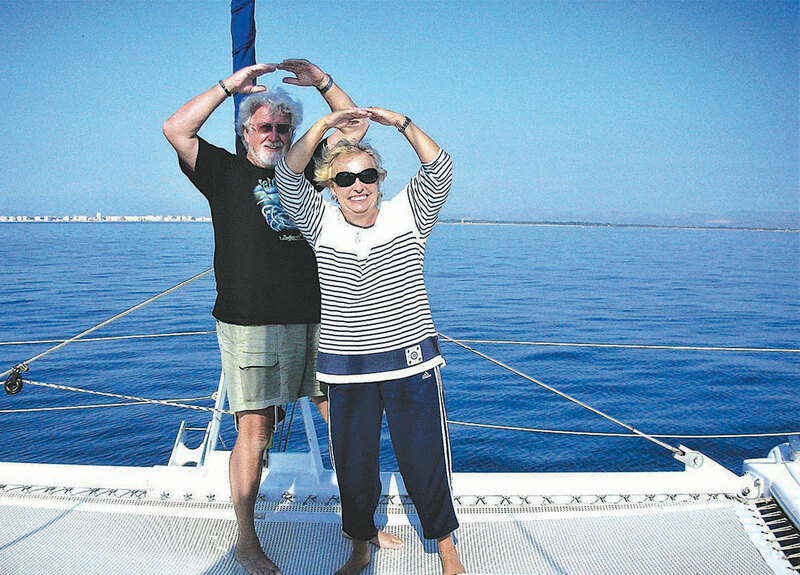 It is more than 1,300 miles south of Santiago, Chile’s capital. Overlooking the Strait of Magellan, this port city commands the historic route as the first city before (or after) rounding Cape Horn. The city flourished during the California Gold Rush when it was a haven for steamers rounding the cape. Although the Panama Canal dampened the traffic, the port achieved renewed prosperity as an early 20th century Chilean wool and mutton center. 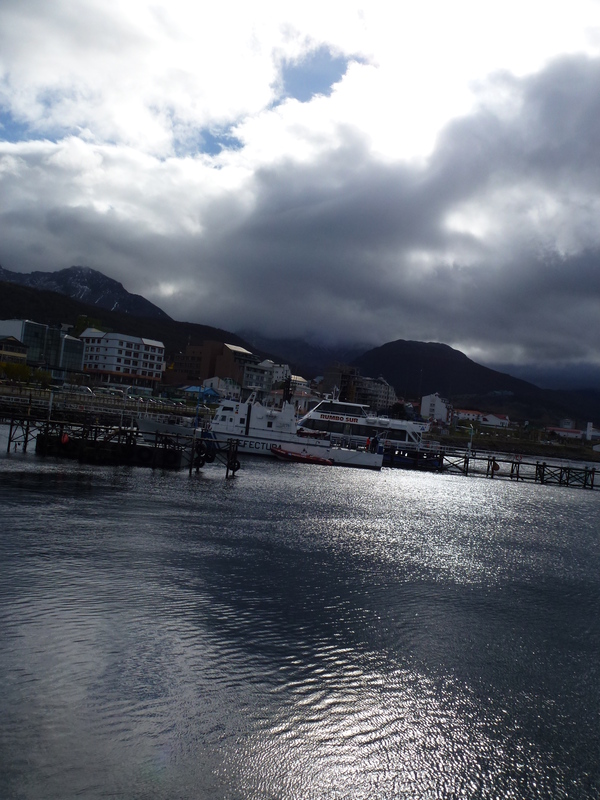 Modern Punta Arenas reflects a broad cultural mix—from Portuguese sailors to English sheep ranchers. 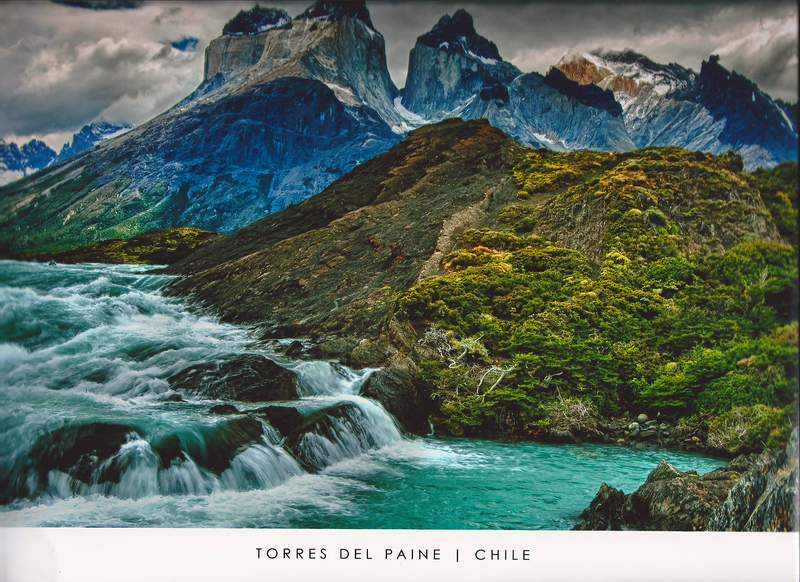 Adventurers head for the Parque Nacional Torres Del Paine, “place of the blue water,” a breathtaking preserve with a primordial ecosystem. Tall granite pillars rise more than 8,500 feet, towering above the Patagonian steppes. Deep valleys are filled with sapphire lakes, gurgling rivers, cascading waterfalls, and massive glaciers. But the park is 275 miles north of the town, and we are here only for the day. I buy this photo from the Veendam instead. Günter and I bundle ourselves in lots of layers and take a taxi into the city, swerving around rivers of water flooding the sides of the road. 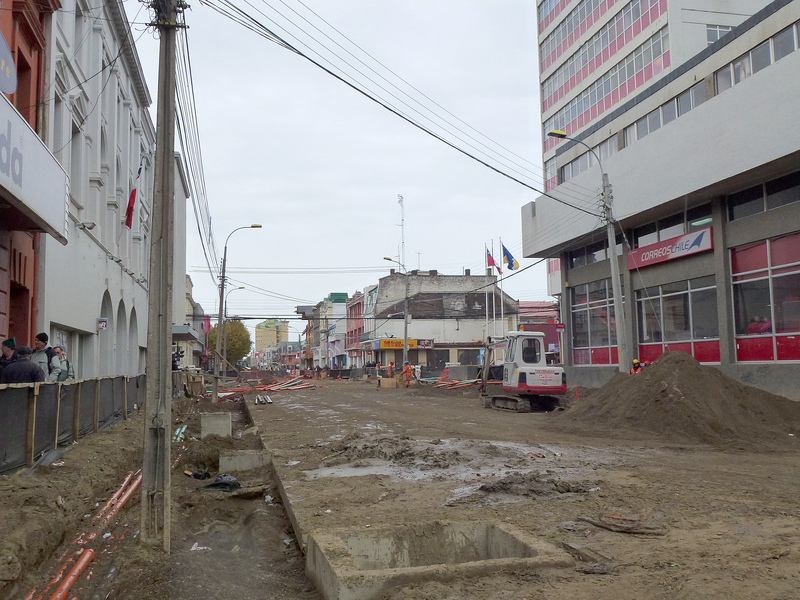 After we are let off downtown, we plod along a dreary main street torn apart by construction and floods, under a drizzly sky. 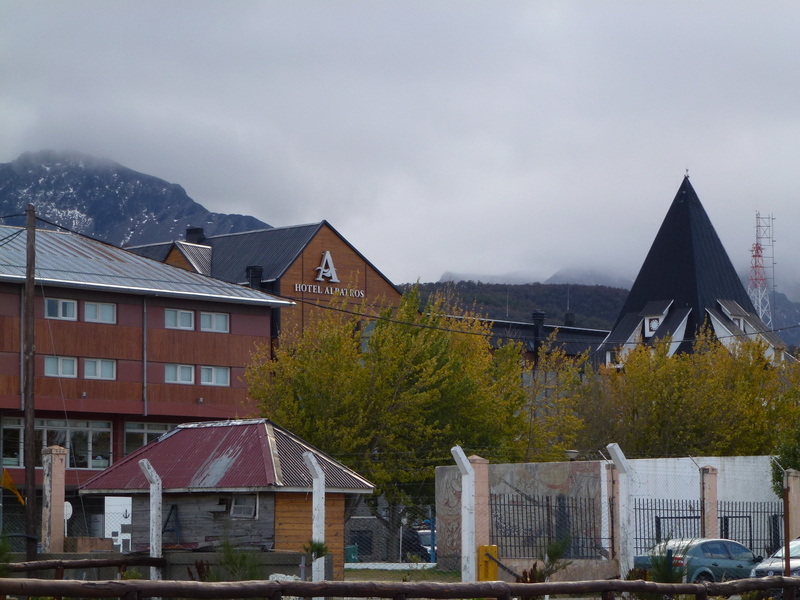 The hardy residents here consider themselves first as Magallanicos, and second as Chileans, which is hardly surprising, since in order to come to this stormy corner of the world, one either has to travel for days by bus across Argentine Patagonia, fly direct, or take a lengthy cruise through the southern seas. 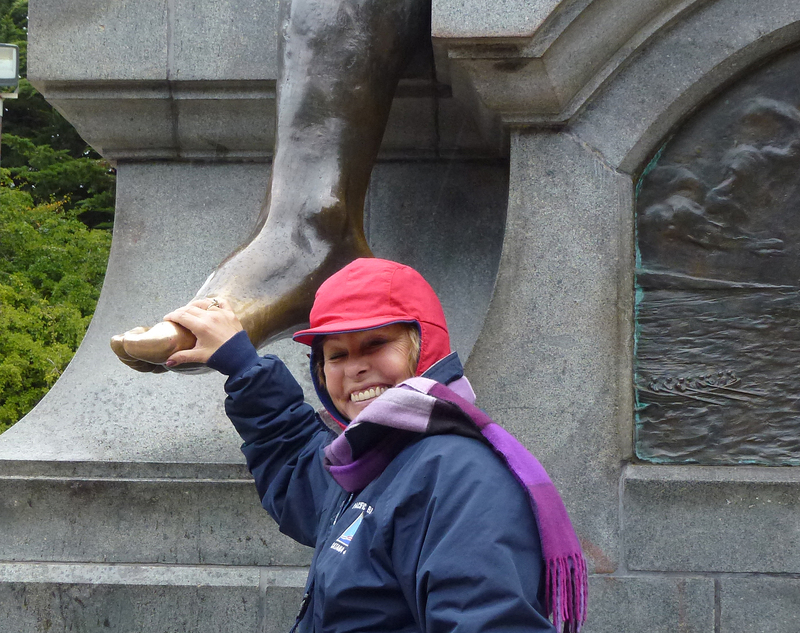 Our mission here is to rub the foot of the Magellan statue located in the main square. This is supposed to bring us good luck, which we need after having our backpack stolen in Buenos Aires! 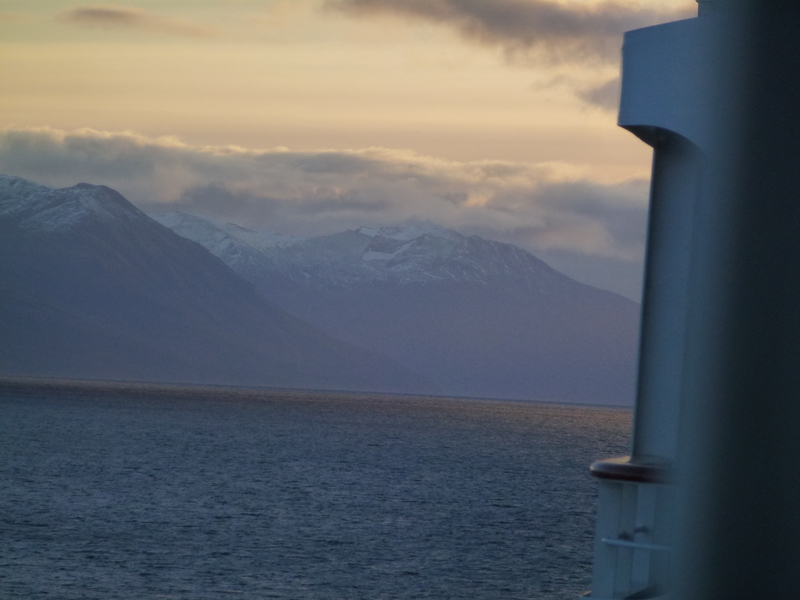 March 27: Today, we are cruising through the Strait of Magellan, a navigable sea route south of the mainland of South America and north of Tierra del Fuego. 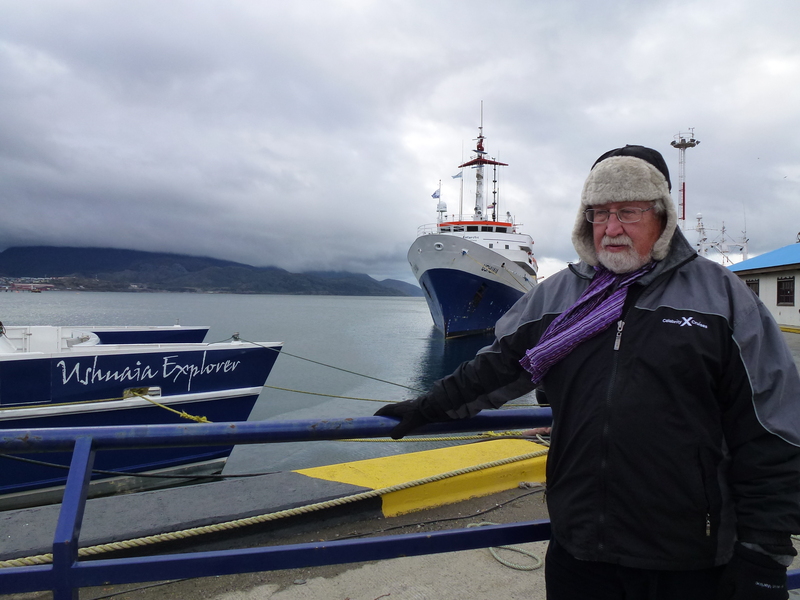 Although it is the most important natural passage between the Pacific and Atlantic Oceans, the strait is difficult to navigate because it is subject to high, unpredictable winds and currents. The strait is 570 km long and only 2 km wide at its narrowest point. Ferdinand Magellan was the first European to navigate the strait in 1520, during his global circumnavigation voyage. 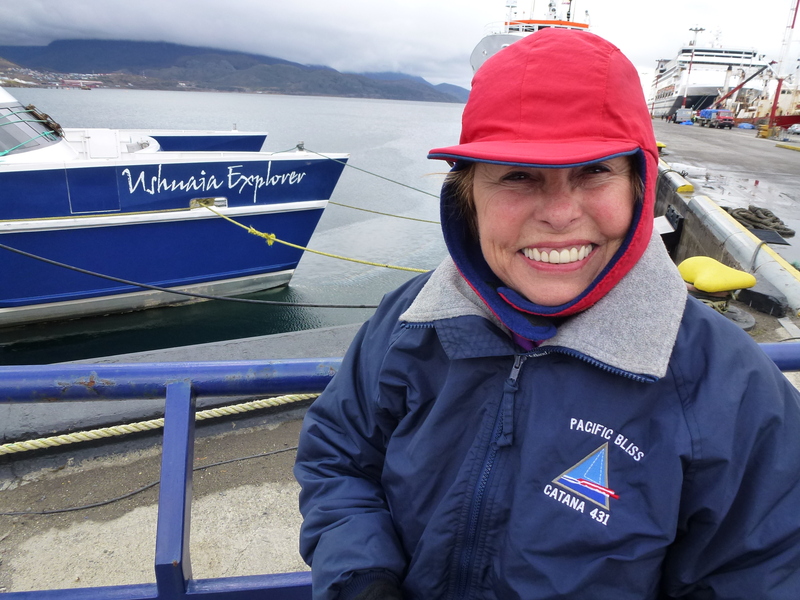 Most of the strait is compelling, but the special attraction is the Amanda Glacier. 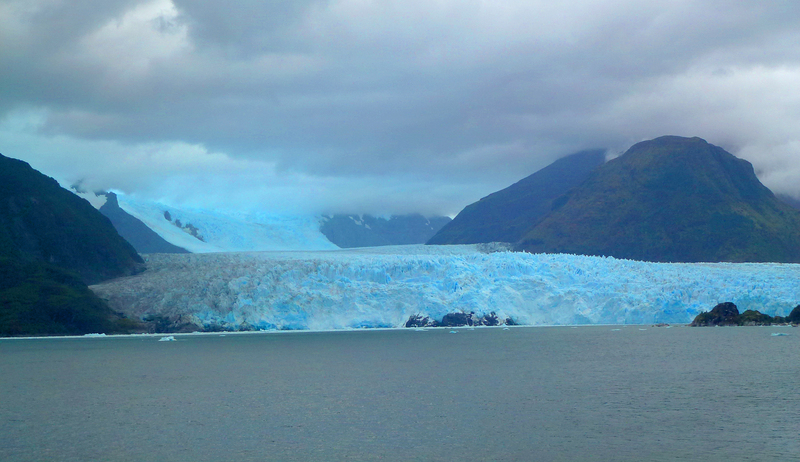 After the disappointment of having to pass through Glacier Alley after sunset, (the ship was held up by the Argentinian port authorities), our captain wants to make sure that all passengers will have an excellent view of this glacier. He makes a 360 degree swing so that it can be viewed from all verandas. Wow! What a glorious sight!